Appel Farm Arts & Music Center offers many ways for adults to get involved. 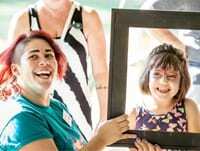 Attend our Mother Daughter Dream Art Retreat Weekend or Family Camp, enjoy our South Jersey Arts Fest, or become a Volunteer! Additionally, our facility is available to rent for Conferences, Retreats, Weddings and other Special Events. To request more information, click here. The arts have an amazing, transformative power for youth, adults, families and communities regardless of abilities or prior experience. We offer a wide range of workshops, residencies and field trips in the visual and performing arts that aim to enhance people’s artistic experiences, promote creative expression, and improve wellness. Volunteers can provide tremendous support to all our programming. Do you have any special interests and are looking to share your talents with others or are you looking to contribute to a worthwhile cause? 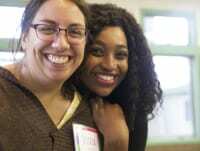 Without our volunteers, our mission of transforming people’s lives through the arts could not come to fruition. 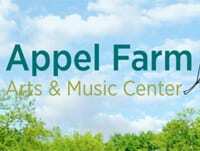 Appel Farm Arts & Music Center is a nonprofit arts organization with a year-round staff of full and part-time employees, and summer arts program staff. Whether your group is planning an overnight retreat, a weekend seminar, a day-long meeting or a special program, Appel Farm is a fitting and affordable location to hold your event. Our 117-acre facility offers a friendly place for undisturbed reflection and concentration where you have the freedom to organize your own program and set your own schedule. 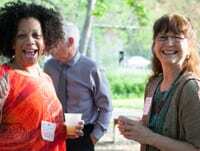 Your contributions help the fine and performing arts to blossom at Appel Farm! Among the various funding sources that contribute to Appel Farm’s success, none is more crucial than individual contributions.